The day started like this... I had morning duty bright and early at 7am. I needed all the jingle bells and joy I could get!!! I had this idea last week at a Christmas party at my house so I thought it would be fun for the kids today. They LOVED IT!!!! Each kid took a selfie with an elf. I did my best to copy their face. Even Dr. Pridgen joined in the fun!!! 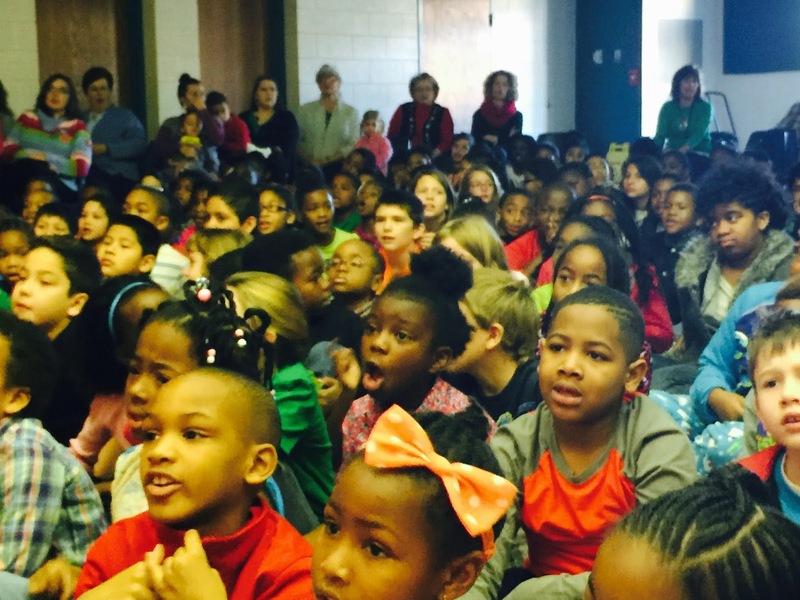 These are pics from our 6th annual WHES Christmas Sing-a-long. I started this wonderful morning of holiday fun 6 years ago, and it has become a part of everyone's holiday anticipation!!! 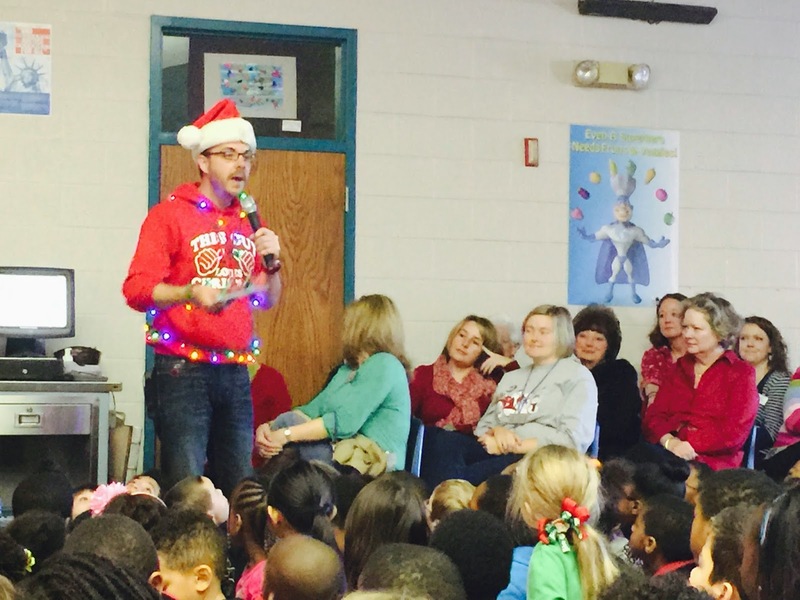 It started today with me wrapped in lights, along with Anna from Frozen (Ms. Ebron)! Ebron led us in a fantastical arrangement of "Let it Go" to start the festivities. I will NEVER forget the excitement in that room!!! I wish we had a video! As you can see, the room was packed out!! 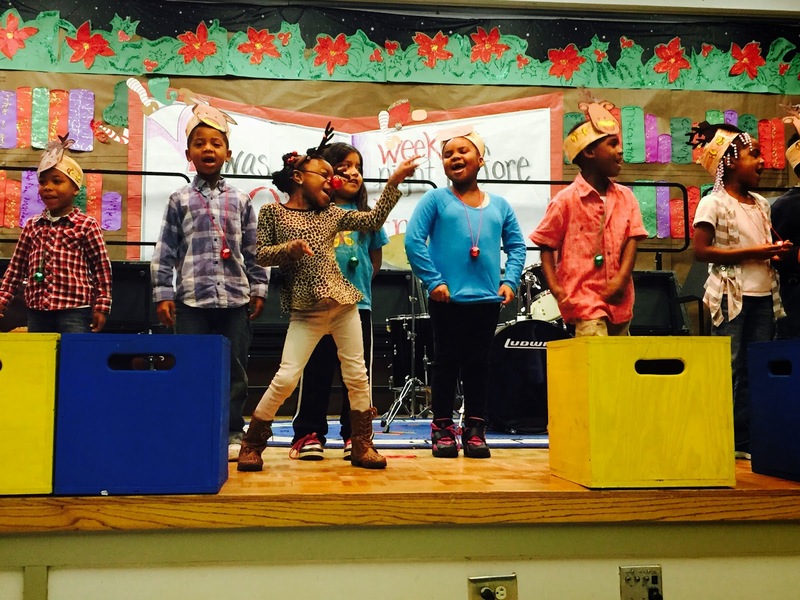 Several classes performed specials throughout the sing-a-long! 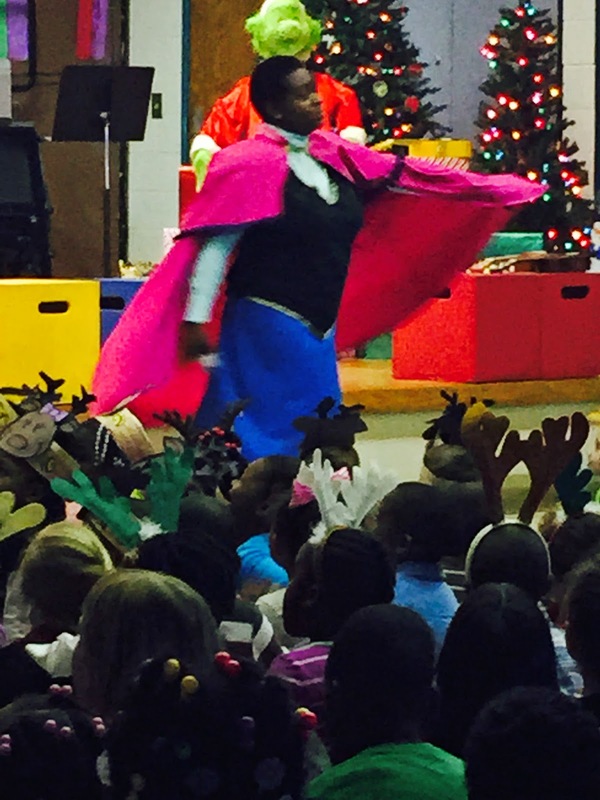 Mrs. Summers' K5 had a great rendition of "Run, Run Rudolph". Rudolph was incredibly cute! 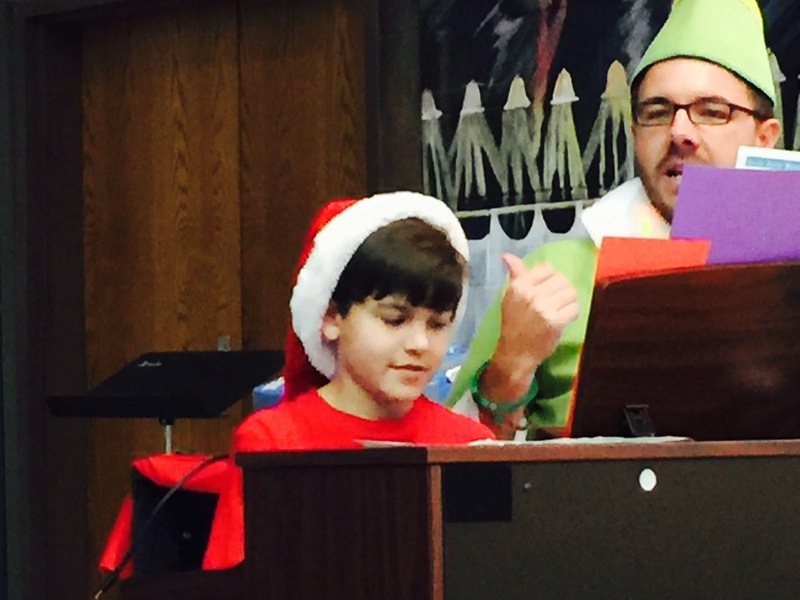 This little guy stole the show as he danced the Blitzen Boogie with Mrs. Parris' class. Look at my kiddos singing along! We were able to celebrate a wonderful teacher who is retiring soon! 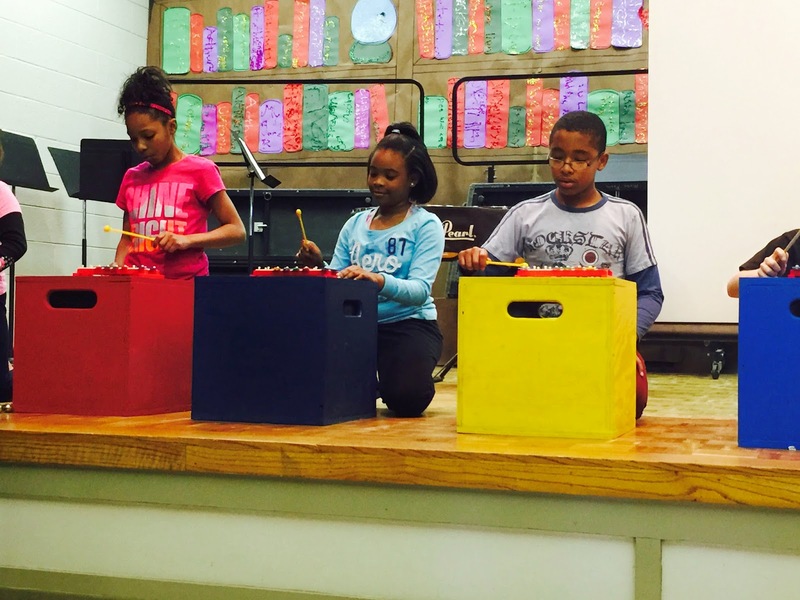 Ms. Ebron's class playing the xylophones. 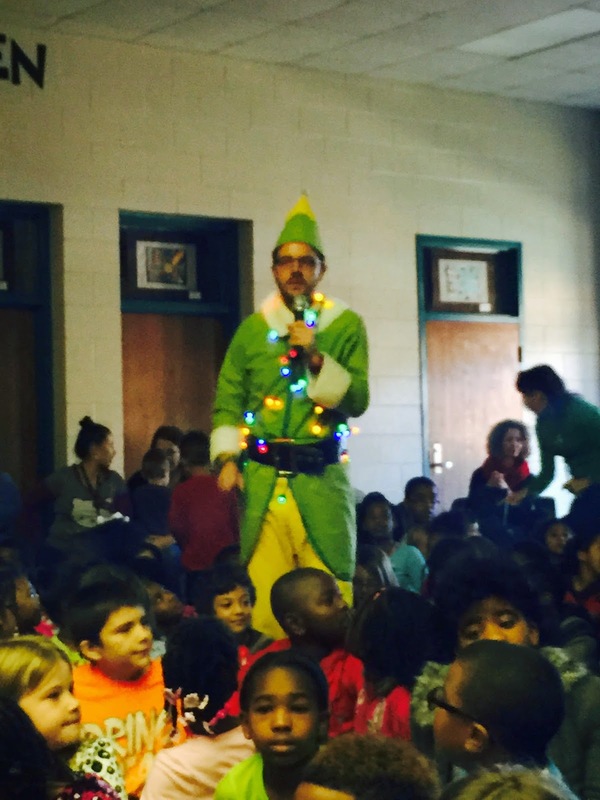 Due to popular demand from last year's show, I had to do a wardrobe change mid show and bust out the elf costume. You know I didn't mind one bit!!! 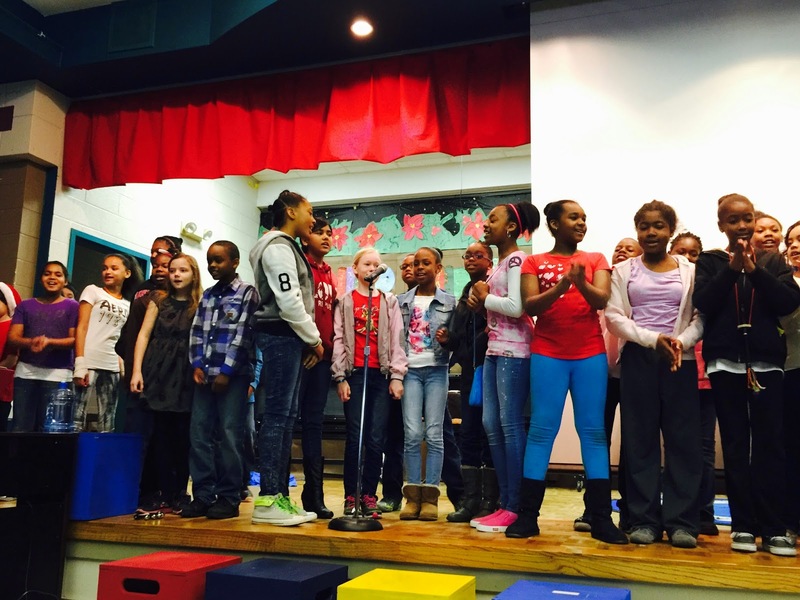 Mrs. Teachey led the 5th graders in "Merry Christmas, Happy Holidays" by NYSYNC! The place was jammin! This kid is awesome! He asked could he play piano with me in the sing-a-long last about a week ago. He blew me away with musicality! Checkout the video below! Post sing-a-long selfie! I was so hot!!!! I hope you all have a great break and the merriest of holidays!!!! See you in January!!! Elves Smell Like Cookies & Candy Canes! My first year teaching I started making these elves with my class. Students create the elves and then write stories about what they think elves do all day long. Today one kid said he thinks that they smell like cookies and candy canes! Then everyone shouted, "Hey that's alliteration!" I was proud!!! This has been a last full day before Christmas break tradition for my entire career. I love it and the kids do too. All of them said they were gonna go home and put their elf on a shelf!